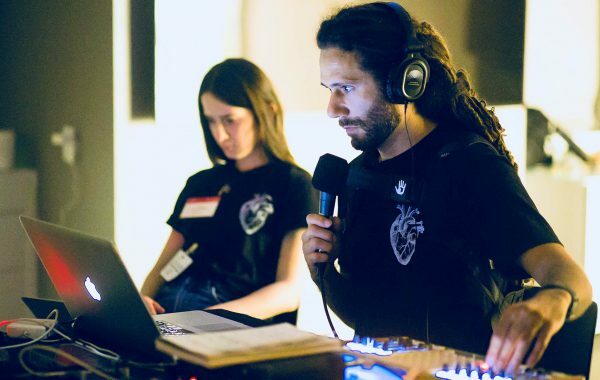 Human Exploratorium is an organisation committed to exploring the effects of music and sound on the human mind and body and sharing the findings via inspirational music and art installations. A group of musicians, scientists, music producers, physiologists, programmers, psychologists, and neuroscientists committed to unlocking and sharing the power of sound and music for the betterment of humanity. 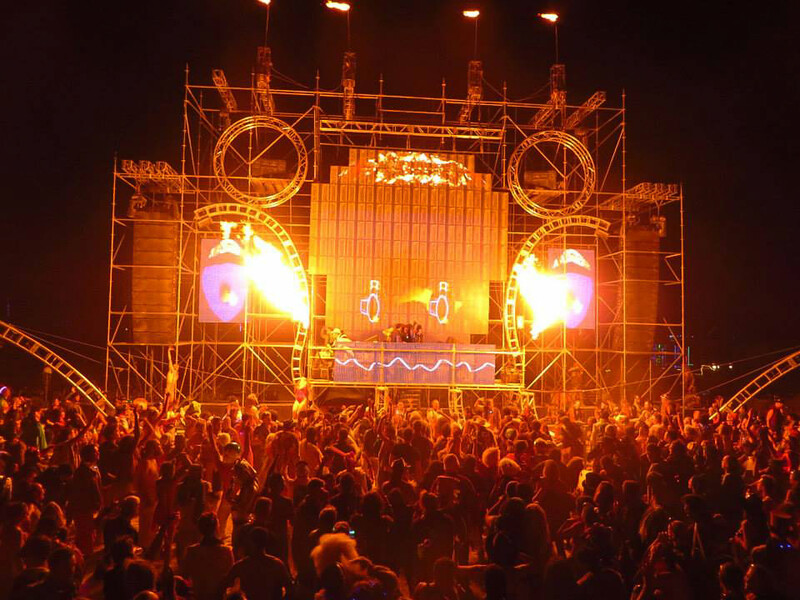 We collaborate with organizations and event producers around the world to create compelling and transformational music-based multisensory experiences that inspire optimal human states including mindfulness, creativity, focus, flow and connection. 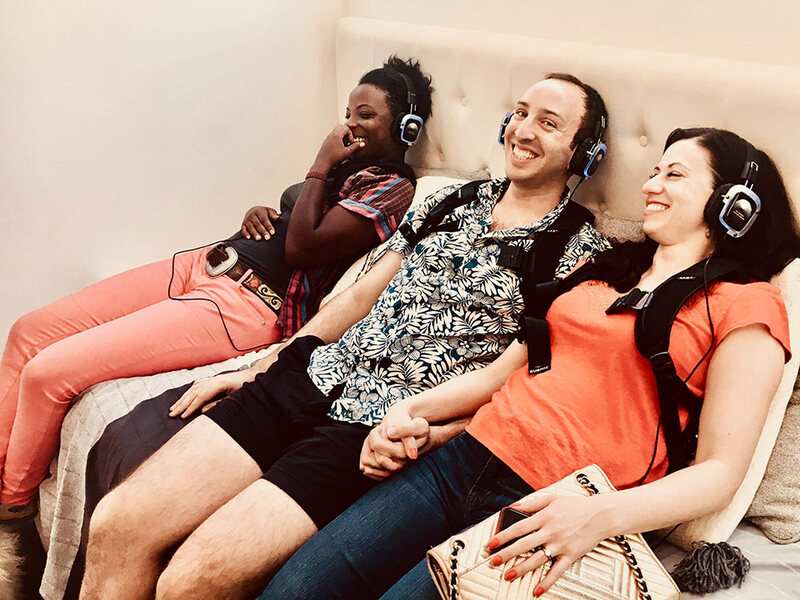 In June Human Exploratorium went to NYC to collaborate on a pop-up multi-sensory music meditation experience at Madison Square Park with Be Time Practice on their architecturally designed mobile meditation tour bus. 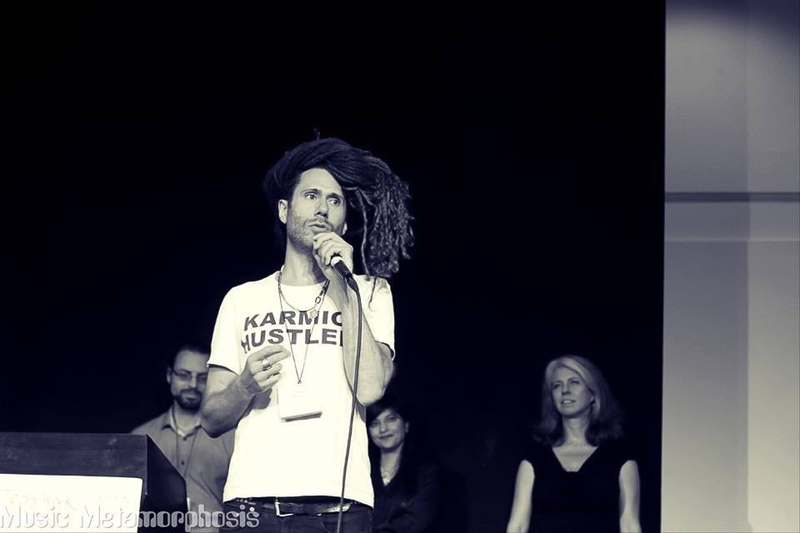 Attendees were treated to an aural, tactile and visual guided meditation journey performed live by music producer and meditation teacher Darin McFadyen. An exciting collaboration of which you will hear more soon. 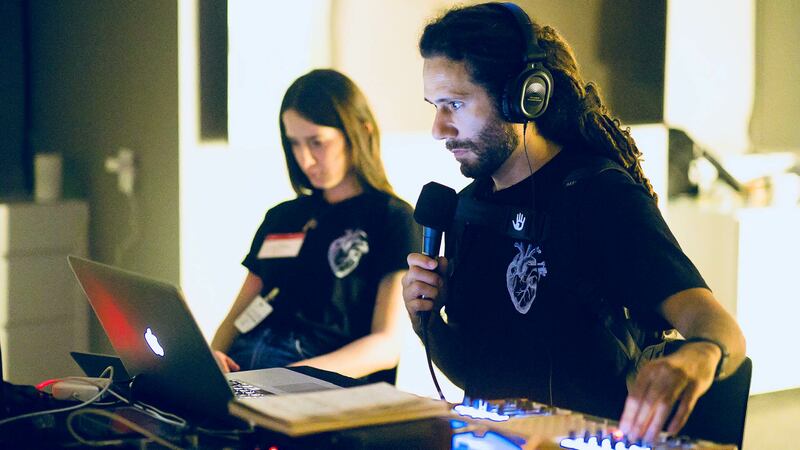 Human Exploratorium was honored to join an extremely talented group creatives at the USA SyFy channel headquarters at the Rockefeller Center in New York to show a new multi-sensory biofeedback experience with the ‘Future of Story Telling’ team. The experience was a culmination of many months of collaboration with physiology hardware designer and artist Alan Macy, a team of artist and coders from the computational Arts department at York University lead by Mark-David Hosales, and California based artist and coder Alex Stahl. The experience is an example of what we cal ‘bio-intelligent media’ – music and art experiences that are aware of your emotional state as you experience them, and feed back your physiological and psychological markers back into the installation in realtime to give attendees unique insights into themselves and the group. Check out the video for more information. A new article written by Human Exploratorium’s Darin McFadyen for QZ.com on the parallels in state shift between ‘peak music’ and ‘peak meditation’ experiences. We explored this idea more fully at USA SyFy channel Innovation day via a music-based multi-sensory biofeedback installation in NYC in June. Darin will be leading a 3-day retreat at the Esalen Institute, Big Sur starting March 29 2019 expanding on the philosophy and experience of transformative music and audio protocols using the latest in music technology alongside rare and ancient acoustic instruments. 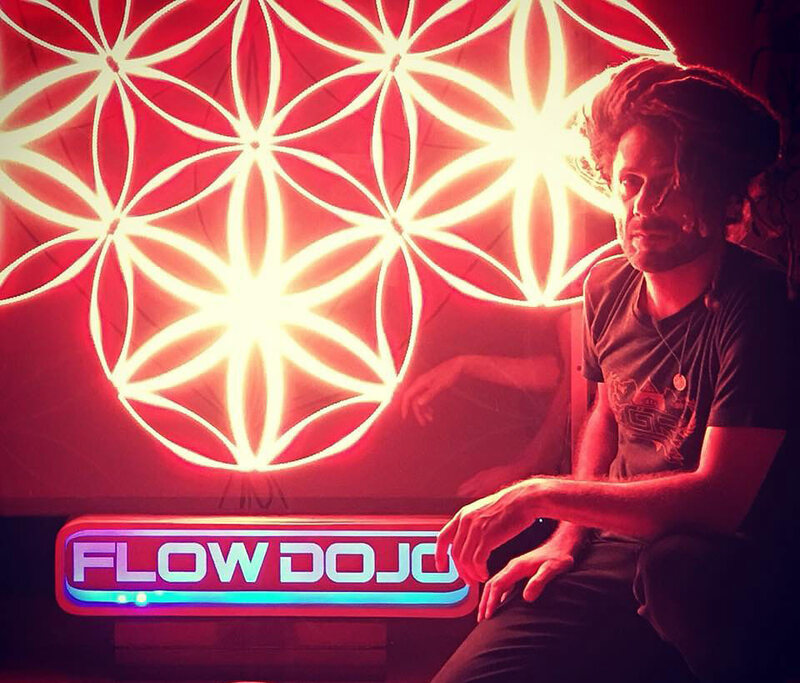 Immersive Music in the Flow Dojo: We joined best selling authors Jamie Wheal and Steven Kotler for a weekend in the mountains of Colorado with Jamie’s Flow Genome Project to explore Flow and specifically how music can aid in bringing humans into optimal flow states in in daily life. 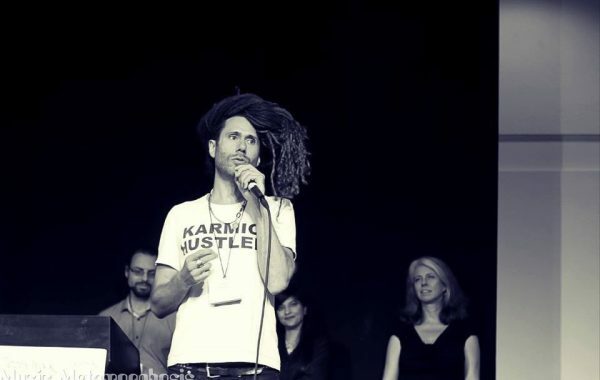 Jamie led an mind and body bending series of workshops based on his latest findings on how to build flow into everyday life as a practice. We were honored to provide both music creation and curation which featured heavily in the culmination evening practices. Watch this space for further collabs with Jamie and the Flow Genome Project. 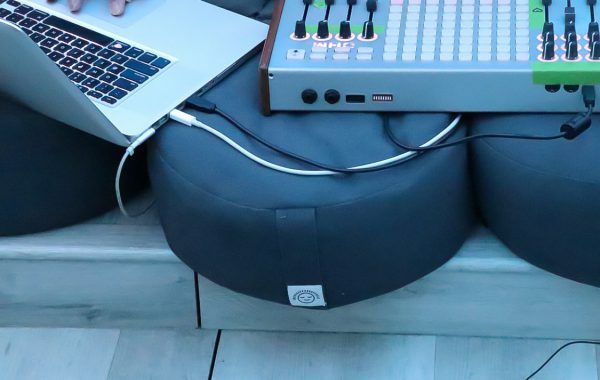 We had the privilege of providing a multi-sensory music-based relaxation meditation experience for Ford’s House of the Future exhibition house in Austin Texas alongside the Vox Media team. 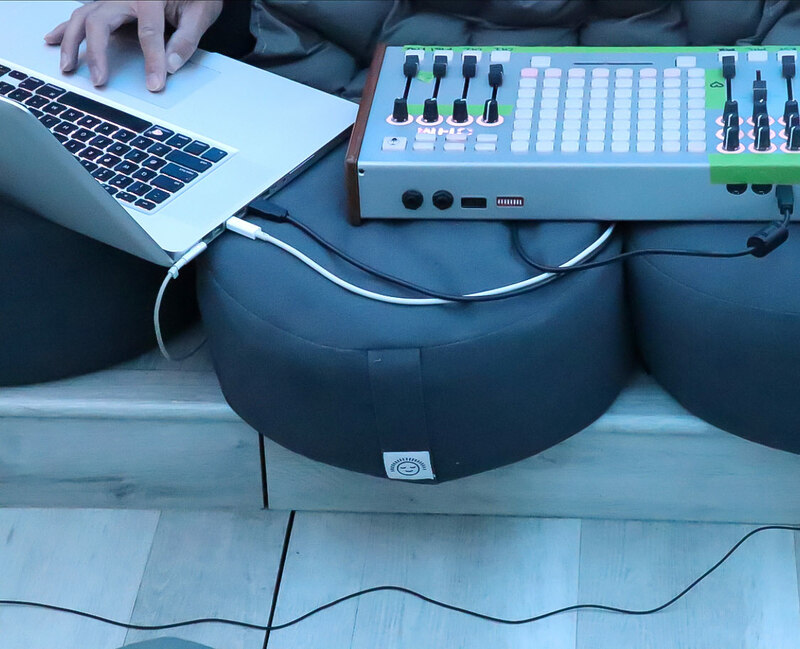 Creating and curating music that is not only heard but felt via tactile audio units, we were able to bring the invited attendees into states of deep relaxation allowing them to realign, refocus and reset for the evenings activities ahead.